Neymar potentially returning to Barcelona has been getting some serious attention this week. Mundo Deportivo have been pushing the story, front page and all, and Marcelo Bechler, the Brazilian journalist who broke the Neymar to PSG story, has been backing the whole thing up. Neymar isn’t happy at PSG, it isn’t what he expected, and the grass looks greener elsewhere, either Barcelona or Real Madrid. Barca would have several hurdles to jump to get Neymar back, mostly financial, and today there are Catalan reports of a €220m get-out clause applicable in the next summer window. But there’s also a rather awkward event coming up. When Neymar left Barcelona it all got messy, with a loyalty payment being kept back, understandably, and legal action being launched. 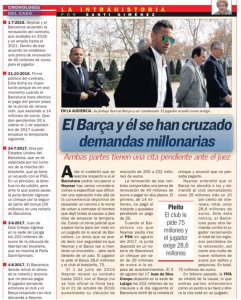 Friday’s edition of AS reports that Neymar and Barca are set to face each other in court soon. The Brazilian superstar is suing for a €26m payment he feels he was owed, plus 10% interest which makes it €28.6m. 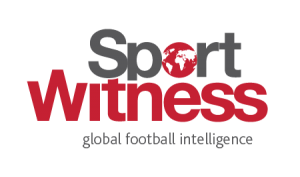 Barcelona are themselves suing for €75m, wanting money back related to a renewal and also adding a €9m fine.